Plants-4-Hunger is our campaign that feeds children without using animals. While designed as a gift-donation program, many people donate directly in support of the programs and not as a gift-donation. Both styles are critically important and tremendously appreciated. 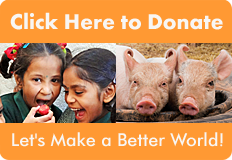 The inspiration is that instead of using animal-based foods or live animals from an organization such as Heifer International, your gift will support on-the-ground, animal-free hunger relief projects serving some of the world’s most impoverished children. 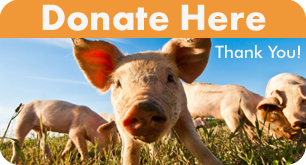 Below are the four vegan feeding programs that will equally share 100% of your gift-donation. When donating, choose “Tribute – In Honor Of” (if it’s a gift) — and “Plants-4-Hunger” in the program drop-down menu. You can also leave a note in the comment field or e-mail P4H@awfw.org with details. We will mail a personalized card and our info booklet to your recipient (if an address is provided) or send an e-mail notification. For immediate use, here’s our color printout that can be added to your own card. Many people also choose to make a regular donation… you do NOT need a gift recipient to help. Click the banner on the left to donate by credit card, or click the donate button below for PayPal. 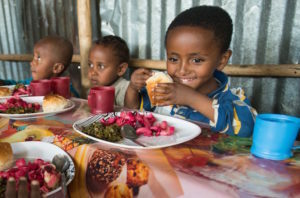 International Fund for Africa provides immediate and long-term assistance to some of the world’s most vulnerable children through their new innovative and multi-prong School Health and Nutrition Program. In addition to funding local staff and equipment, the program builds income-generating bakeries and produce gardens to increase long-term sustainability. In each of five schools, about one hundred of the children who are in the most dire need receive a daily meal, health monitoring, and vaccinations. 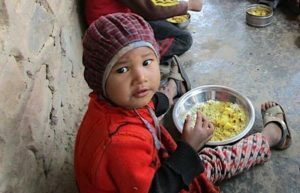 Through our partners Help Animals India, A Well-Fed World is pleased to sponsor vegan meals for school children in need in Nepal. An initiative of the Grassroot Movement In Nepal (GMIN), this school nutrition program is currently providing nourishing plant-based meals to 67 students in two village schools. It also supports the local economy by purchasing grains, legumes, and produce from local farmers. Sine the start of this program, students are performing better in school and school attendance rates have risen. Deforestation has had serious environmental, social, & economic impacts in El Salvador, where more than 1 million residents live in poverty. 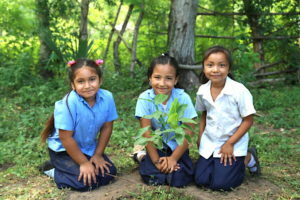 The Fruit Tree Planting Foundation has pledged to plant 100,000 fruit trees in Salvadoran schools, farmer’s cooperatives, and community centers, bringing sustainable nutrition and income to struggling families and communities. In addition to improving health and food security, this program also helps combat deforestation by incorporating native food tree varieties. Mature fruit trees will prevent erosion, create wildlife habitat, improve air quality, and contribute to global cooling. Grow Where You Are is a team of veganic farmers and food justice activists empowering people to improve their food security by planting backyard and community food gardens. These gardens drastically increase families’ access to fresh fruits and vegetables in urban food deserts. Grow Where You Are and MaituFoods also directly provide food to school lunch programs and run a summer camp where they teach veganic farming skills to young people. 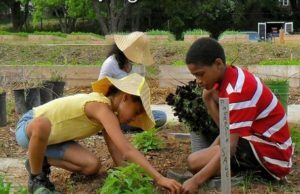 They further increase their impact by partnering with churches to install organic micro-farms on unused land in struggling neighborhoods.